Plan your next beachside getaway on the Texan coast. When you think of Texas, excellent beaches may not be the first thing to come to mind. The Lone Star State is known for their eclectic cities, Southern culture, and generally an oversized everything. Of course, people visit Texas for a number of different reasons, beachfront included. If you do not yet know the extent of Texas’ incredible coastal oasis, now is the time to visit here. While there are quite a few options to choose from, consider visiting Port Aransas Beach when you come to Texas next summer. Port Aransas is located on Mustang Island, right along the Texan Coast. This widely-renowned vacation destination has just about everything you need to have an excellent vacation. From the extensive amounts of fish within the waters to a high-quality boardwalk, Port Aransas is the place to be. The six mile stretch of beachfront is a local hotspot. Here you can enjoy surfing, swimming, and much needed relaxing. Perhaps this is the first time you are hearing about Port Aransas Beach. Do not worry, we have everything you need to know about what to do in Port Aransas Beach right here. Simply read on for helpful tips to plan the ultimate Gulf Coast getaway. Check out why exactly you should visit Port Aransas Beach. Port Aransas Beach has something for every one of its visitors. If lounging around in your beach chair, with your feet in the sand sounds like your kind of vacation, rest assured you can do that here. However, for those who prefer to stay active while visiting a new place, you are in luck. Port Aransas has so much more than just beachfront. One of the top attractions in Port Aransas is its attractive boardwalk. Imagine strolling along a long wooden pier, with colorful, beach themed buildings all around. You can hear the salty ocean spray close by, as you take in the towering sandcastles and fat palm trees all around. Port Aransas Beach has all of these, but it even takes it up a notch. The Port Aransas boardwalk extends beyond the sandy beachfront, across alligator infested wetlands. Are you brave enough to take this stroll? View the wide array of sea life. The gators are not the only critters you will find within Port Aransas. For the travelers who are always looking to catch a glimpse of new wildlife, you are sure to find it here. 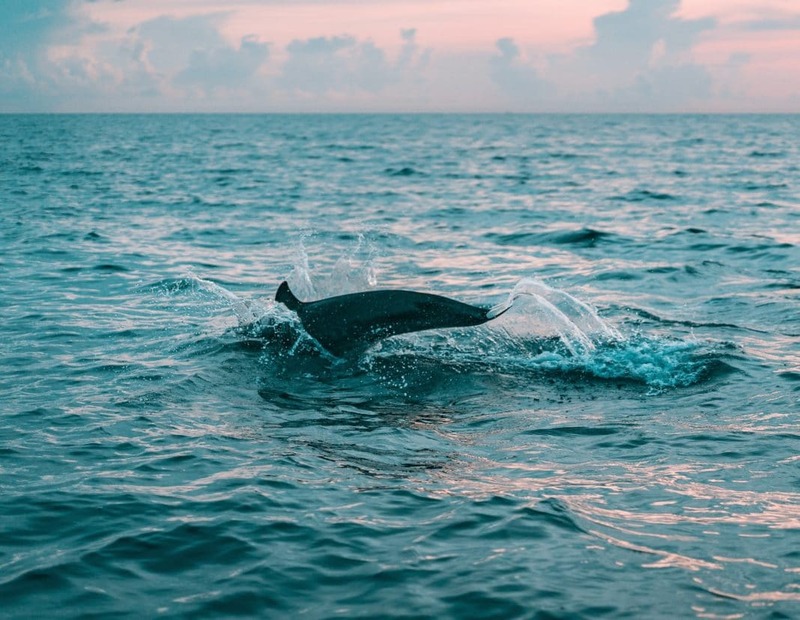 Port Aransas Beach is known for its large number of wild and sea life, which you can often easily spot from the shore. Keep your eyes open as you look out at the seas for a glimpse of a dancing dolphin pod. As you explore the shore, don’t forget to visit the Port Aransas Nature Preserve. This animal reservation offers frequent tours of the local wildlife in their natural habitats. Go on a pirate cruise. Batten down the hatches, and make way for the most unique beach adventure you will likely ever have. If nothing has caught your eye so far, it is difficult to turn down the opportunity to live like a pirate for a day. The Mexican Gulf Coast waters carry many tales of people long ago, pillaging and dominating the seas. You have the chance to witness a glimpse of what this might have been like if you visit Port Aransas Beach. The popular Red Dragon Pirate Cruises are the perfect way to kick off your time here. You can literally come aboard a 70’ pirate ship and set sail on the perfect seaward adventure. These pirate cruises set sail within Aransas Bay, with a fully costumed pirate crew at your service. Red Dragon Pirate Cruises offer fun for the entire family. From school field trips, birthdays, weddings, to adult’s night out, a pirate cruise is just the activity you need. The Mexican Gulf Coast is sure to not disappoint when you visit here. From dodging gators to boarding a pirate ship, Port Aransas Beach is certainly a noteworthy beachfront destination. You can learn to surf these salty Gulf Coast waves or simply lounge on the pristine sand. Stop by The Beach Lodge for a drink and later have dinner at the Crazy Cajun. You really cannot visit Texas without at least trying some crawfish. Since you have a few excellent activity options, get ready to make the trip to Port Aransas Beach soon.